Cycling is Britain's biggest boom sport and nowhere is the boom more evident than on the road: once seen as the preserve of serious racers, the road bike has recently found a new lease of life due to the popularity of challenge rides and Sportives. Riding up hills is the ultimate challenge for a cyclist. 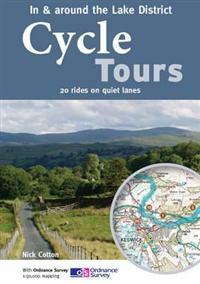 This guide is a compilation of some of the best hills in Cumbria and the Lake District. 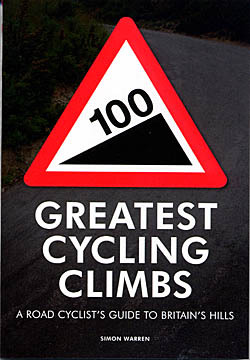 It's not just a definitive list of the Top 50 toughest climbs; instead, author James Allen has selected some of the most iconic, thrilling, interesting, varied and, of course, challenging hill climbs that this beautiful region has to offer. 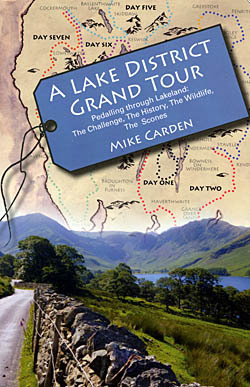 Pedalling Through Lakeland: The Challenge, the History, the Wildlife, the Scones. Format : Paperback;198 x 129mm. 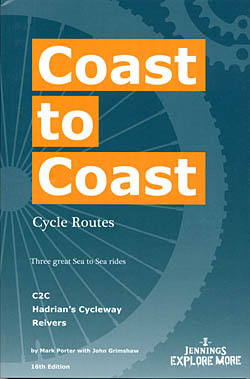 New guide to the Coast to Coast (C2C) Sustrans cycle route, across the UK, from Whitehaven or Workington to Tynemouth or Sunderland, through the English Lake District, the Eden Valley and the Pennines. 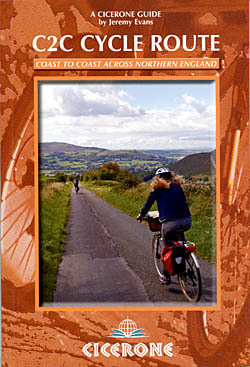 "Coast to Coast Cycle Routes" is the practical guide to crossing Britain, containing all the information any cyclist could possibly need when embarking on a trip. An off-road cycling guide which will surprise and delight even regular visitors at a cyclists pace and in an environment well away from all but the quietest of roads. Format : Paperback spiral bound. 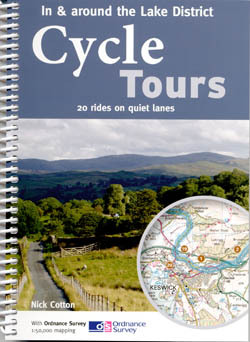 Guidebook to a 5-day cycle tour of the Lake District plus 15 challenging day rides from Keswick, Ambleside, Penrith and bases southwest and southeast of the National Park. Details 2 options each day for the cycle tour, plus a 7-day alternative itinerary. Also outlines other tours including the 112-mile Fred Whitton Challenge, which takes in 7 iconic passes. Step-by-step route descriptions are accompanied by either 1:100,000 or 1:200,000 mapping, together with details on gradient, major climbs and cafes/pubs en route. 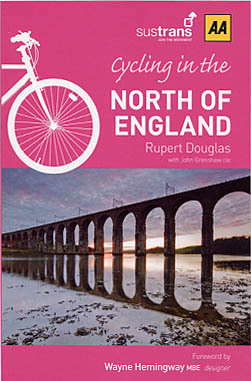 Published in conjunction with Sustrans, this handy guide covers 28 cycle routes on the National Cycle Network in Northern England. 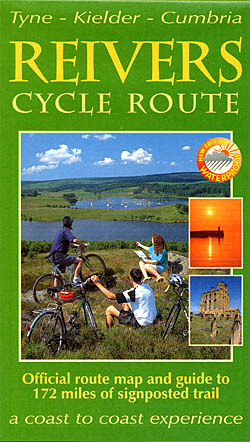 The "Discover Series" of Sustrans official cycle route maps provide clearly mapped cycle routes on traffic-free paths, quiet lanes and traffic-calmed roads. The Lake District boasts some of the most stunning mountain scenery in the country, providing a dramatic backdrop to many of the rides. 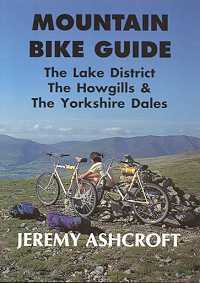 The Lake District boasts some of the most stunning mountain scenery in the country, providing a dramatic backdrop to many of the rides featured in this book. 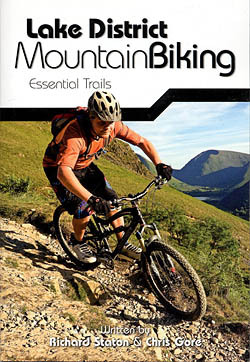 "Lake District Mountain Biking - Essential Trails" is the full second edition of this bestselling guidebook. After the success of the first book, the author has compiled this second volume. 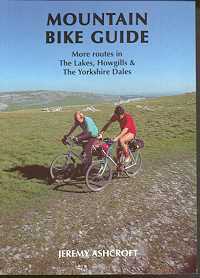 36 routes amongst some of Englands finest mountains. 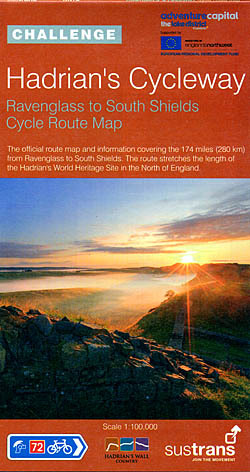 Each route is illustrated with its own map and photographs depicting the variety of weather and terrain conditions. With clear route descriptions and guidance on equipment, mountain survival, access and conservation. 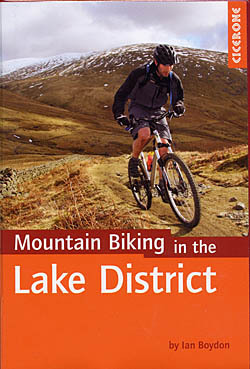 This well-designed, superbly illustrated guide gives mountain bikers a comprehensive guide to the very best routes the Lake District has to offer - everyone a true classic. Format : Paperback; 180 x 115mm. 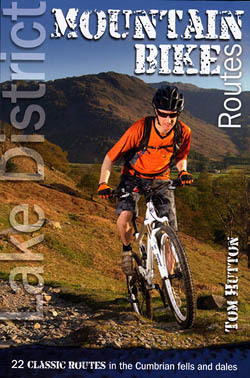 Mountain biking in the Lake District describes 24 routes in the Lakes, offering some of the best MTB riding in the UK. The routes are suitable for all abilities of riders, arranged by difficulty, from Kendal to Cleator Moor in the far north-west and Keswick to Winster in the Lyth Valley. 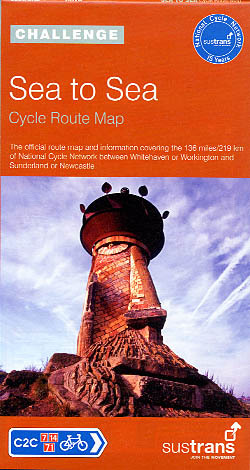 The official route map and guide to 187 miles along minor roads and tracks, including many green lanes and forest trails. 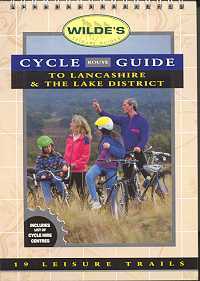 Shows the route clearly, and also contains details of cycle shops and hirers, support services, tourist information centres and more. From the Irish Sea to the North Sea, from Cumbria to Tyneside. Starting in Whitehaven or Workington, and finishing in Sunderland, Wearside or Tynemouth, this world famous cycle challenge route takes you through the Lake District and over the Pennines - the 'roof of England'.